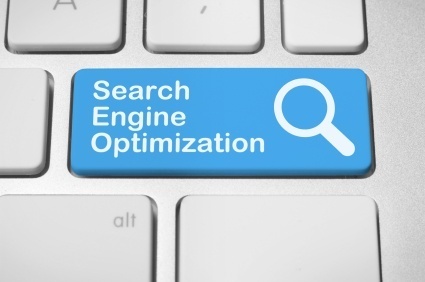 There’s no shortage of Chicago SEO firms that can provide you with a variety of search engine optimization purchases. Whether your business is a small business, a regional firm or an international corporation, creating a strong online presence is crucial to establishing your company in today’s marketplace and getting plenty of consumer exposure. An experienced web design company can deliver a powerful SEO strategy that can put a business on the forefront of Internet recognition regardless of whether that business is a market giant or a small business run out of someone’s basement. Using the right SEO strategy allows companies of all sizes to compete with each other effectively in the open market as well as within powerful niche markets that can bring your company unique brand recognition. Avoiding common SEO mistakes is essential, however, for maximum effectiveness. Design & Promote can help your business avoid these pitfalls. You probably don’t want to write yourself a prescription when you’re sick, and you wouldn’t expect your spouse to fix your car. Why would you try to develop your own SEO marketing program? If you don’t have the experience and training to understand the nuances of search engine optimization, you can’t develop a winning strategy. While it might save you some money in the short term, it often ends up being a long term mistake. You’ll end up spending too much of your own time on trying to understand and exploit the rapidly changing field of SEO tactics and trying to understand the complex algorithms used by popular search engines. Design & Promote is an experienced Naperville web design company offering SEO backed by years of experience and a strong team of search engine optimization professionals. Our experience will turn your marketing dollars into profits by helping your company move to the forefront of local and global Internet searches. Choosing The Wrong Keywords: Everyone knows that the right keywords are critical to the success of an Internet marketing strategy. Few people understand just how difficult it can be to select the right combination of keywords and phrases for optimal results. By working closely with our successful Naperville web design company and SEO firm, you can discover the perfect combination of words and phrases to optimize your website and dramatically increase your Internet ROI. Neglecting Backlinks: Using backlinks to direct others to your website continues to be a reliable source of additional incoming links and consumer awareness, yet some Chicago SEO firms neglect this powerful tool in favor of newer strategies. At Design & Promote, we’ll never abandon proven Chicago SEO strategies; we’ve established an extensive network of resources for excellent backlink opportunities for our clients. Not Recognizing The Importance Of Your Website: There’s a reason that so many Chicago SEO firms are also often a web design company. The success of any company’s search engine optimization strategy is directly linked to the visibility and success of its company website. A website that’s user-friendly and fully optimized increases the effectiveness of any SEO strategy. The benefits of working with a web design company that is also an experienced Chicago SEO firm are obvious. At Design & Promote, we cover all the bases, delivering impressive results your competitors will envy. Not Following Up On Your Chicago SEO Firm’s Progress: While Design & Promote is an industry leader in Chicago SEO, we know that results are the only way to gauge the success of an Internet marketing strategy. We’ll provide you with web analytics that show you how the Chicago SEO strategy we’ve developed for your business is performing. Keep an eye on the results and voice your concerns so that we can continue to evolve an SEO plan that will give you increasingly positive results. Please contact us for a free quote on your Web Design or SEO needs!